WHO WE ARE ?at Diamond Boutique! Diamond Boutique is the fusion of quality and affordability in custom jewelery design. 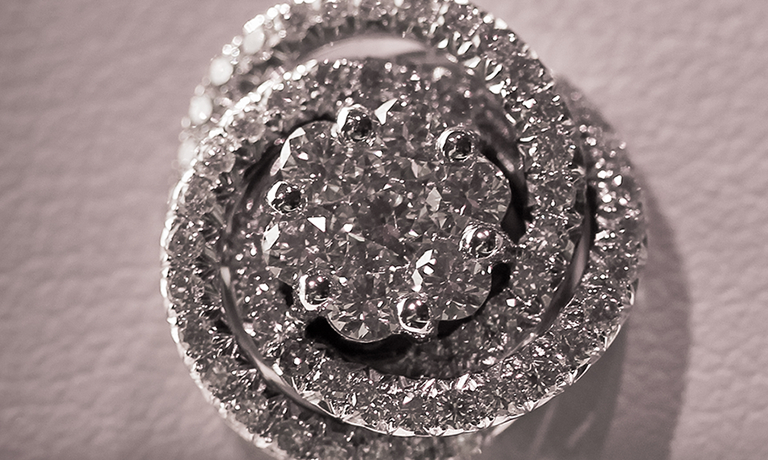 When you choose Diamond Boutique you can expect an experience tailored to your own personal taste, style and needs. Through one-on-one consultation and professional design advice, we work with you to create your own personalized piece of fine jewelery. At Diamond Boutique we use the latest technologies in computer-aided design and uphold the best stone and design knowledge in the market. For over 20 years weve proudly provided Calgarians with the best in service, which is only second to our unbeatable standards for creating both beautiful and high quality jewelery pieces. Before you commit to a jewelery design, we can create a set of photo-realistic drawings, so you can see computer images of your design options before your dream piece is actually made. If you’re looking for a piece of jewelery that uniquely defines an emotion, special occasion or lifestyle, come meet with Dror Lahav, our skilled, in-house gemologist, jewelery designer and goldsmith, and treat yourself to a unique jewelery design experience, regardless of your budget. The majority of our diamonds come from Russia and are being cut in Israel. Our jewelry design specialist, Dror Lahav , frequently travels to diamond exchanges/burses in Israel, Belgium, and India to hand pick many of our stones. We also carry Canadian diamonds. Each and every diamond is picked microscopically to ensure consistency in quality and value. All of our stones are conflict free and certified by the best and most knowledgeable laboratories in the market. At Diamond boutique we adhere to a strict, zero-tolerance policy toward conflict diamonds. Diamond Boutique only deals with highly reputable and well-known diamond suppliers who participate in the System of Warranties and follow the guidelines of the Kimberley Process. All diamonds provided by Diamond Boutique are obtained through legitimate sources and are certified conflict free. Our designs range from one-of-a-kind and custom-designed pieces to more affordable replicas of costly designer store jewelery. In fact, it isn’t unusual for Dror Lahav and his team to recreate beautiful jewelery pieces for clients who can’t afford their dream design sold elsewhere. Come view our wide selection of engagement rings and wedding bands . If you don’t find what you’re looking for, we’ll make it for you. We are a Calgary based diamond wholesale business and are a culmination of over a decade of diligent work in the international diamond industry, and a lifelong obsession with gemstones.